Our relationship with money can be a funny thing. I didn’t realize it until this year, but my money mindset was no where close to where it needed to be. 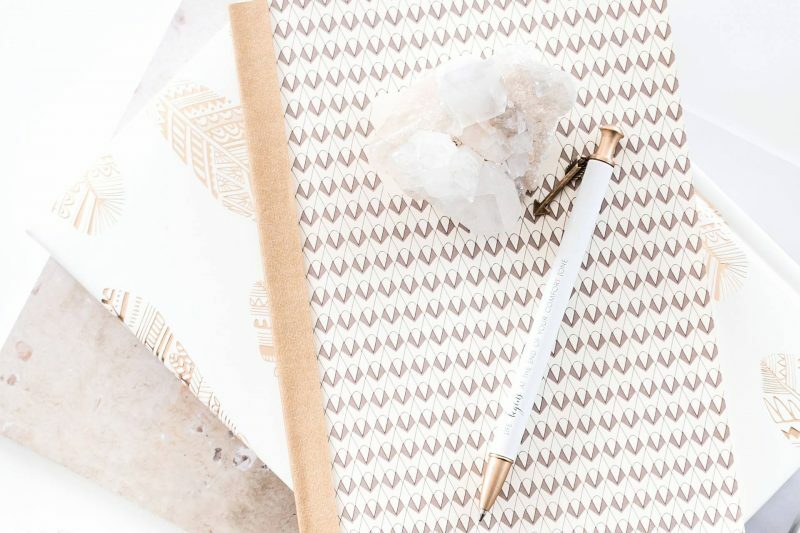 I dive deeper into my money block below, but in a nut shell, I realized I was scared to make and have a lot of money, and that mindset hindered me in so many ways. How can you ever be financially successful if you’re subconsciously telling yourself that money is a source of evil and you don’t want a lot of it? It’s pretty much impossible to manifest money fast in that circumstance. Don’t get me wrong, money won’t just fall off a money tree because you ask for it. 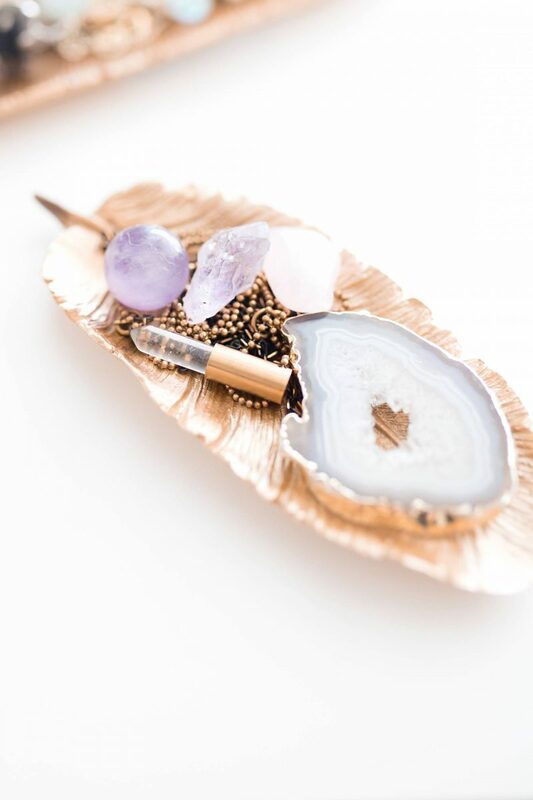 Manifesting is the art of co-creating with the universe, so like anything else you manifest, money will likely come from taking action and working toward your money goals. It may sound unbelievable but one night I decided to stop the BS relationship I have with money cold turkey. I chose to be okay with having a lot of money and told the universe to bring it my way. In the next week I made almost $1,000 unexpectedly with the first payment coming in the very next morning. 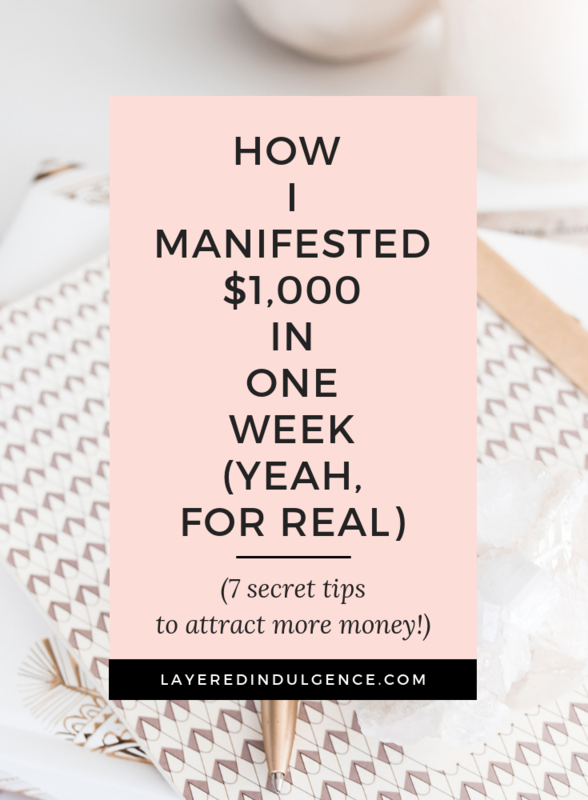 I’m NOT joking – this is how I manifested $1000 in one week! It was because of work I put in previously (the money came through affiliate links on my blog and commissions for my e-commerce business), but they manifested when I asked for it. And I had no idea those funds were coming to me. It.is.CRAZY I tell you. Crazy. 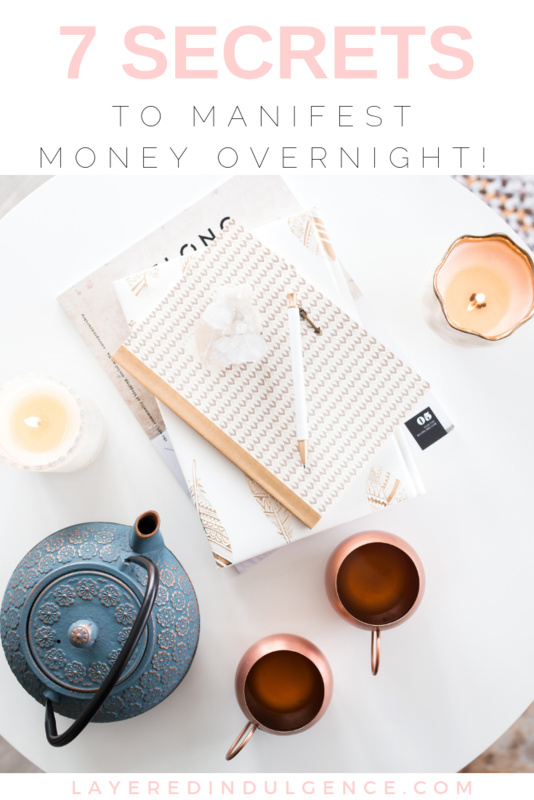 If you’re wondering how to manifest money overnight, here are 7 tips to master your money mindset and attract more income! 1. Determine Your Money Blocks to Manifest Money Now! Over the past year, I’ve been doing a lot of thinking about money and why I’m not necessarily where I’d like to be income-wise right now. I came to a crazy realization (which I touched on above): I’m scared to have a lot of money. Somewhere throughout my life I decided (subconsciously) that money would change people and circumstances for the worse. I can’t pinpoint why or what happened, all I know is that for as long as I can remember, I’ve had this extremely limiting mindset about money. No wonder I’m not making as much as I could be when I was unknowingly terrified thinking of how it could negatively shape my life. I don’t think I’m unique, either. Many people, perhaps even you, think mo’ money = mo’ problems (in the words of The Notorious B.I.G.). We need to switch this way of thinking, and we need to switch it now. After I figured out my money block I realized why my mind was so conflicted. 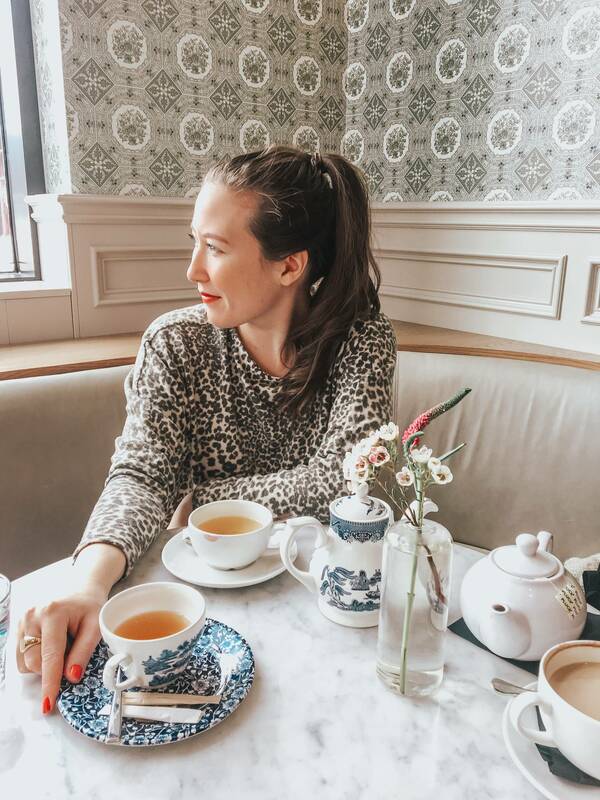 I love to travel, one of my short-term goals is to design and renovate our first home and decorate it with gorgeous decor, I love going out for dinner and brunch, and buying nice, quality clothes, and treating others with gifts and outings. But all this costs money. And a lot of money at that. When part of your brain is visualizing all of these amazing things and another part of your brain is telling you that money is the villain, it doesn’t really work out too well. I had to come to terms that money isn’t inherently good or bad and that things and people won’t necessarily change for the worse with more money. In order to give back and live the lifestyle I want, I do need to make a lot of money and that’s a fact I need to accept. It sounds so simple but when you have a subconscious money block, it’s not that simple at all. 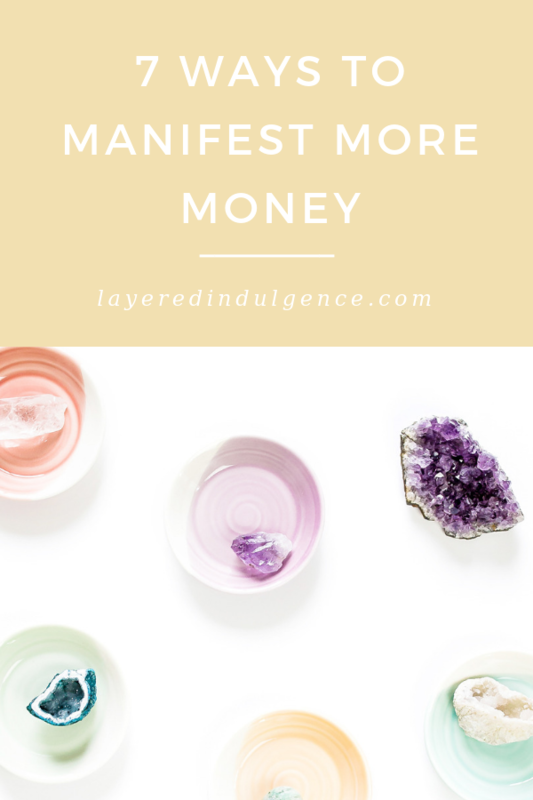 The first step in mastering your money mindset and manifesting more money is figuring out your money block. Maybe you don’t believe you deserve to make X amount of income, or perhaps you’re subconsciously scared of success. Or maybe deep down you fear what others will think of you if you have a lot of money and buy expensive things. Whatever your block is, get honest with yourself, figure it out and start working through it. Once you’ve determined your money block(s) and have started the work to eliminating it, it’s time to begin the manifestation process. It’s important to get crystal clear on what specifically you need money for. Do you want to pay off student loans? Are you dying to buy your own house and need money for a down payment? You get the idea. Now, start writing! The next key step is figuring out how much money you need in order to do all the things you want to do. You can break this down by month or year, whatever works for you. Come up with a list of all your expenses (fixed AND variable AKA needs and wants), then add the list of items we talked about above. Take all of your wish list items into account. For example, If you want to pay $1,000 towards your debt each month, put $1,000 into your savings account and put $500 a month towards a trip to Europe, you would need to make $2,500 plus the cost of your fixed and variable expenses every single month. This is just an example, but you get what I’m saying! Once you figure out how much money you need to make a per month or per year, it will be easier to manifest it and figure out what you need to do to make it happen! Along with getting clear on what you need money for and how much you need, it’s also important to set goals for when you want it to happen. Do you want to book a trip to Europe in 6 months? How much do you need to book flights and accommodations? Do you want to buy a house in 3 years? How much money do you need for a downpayment? Figure out the cost and the exact date you need the money by. These become your money goals! Having money goals is so important because they’ll keep you on track. If you don’t have goals you won’t be tracking where you’re at in your money journey and it will be harder to get the money you need. For example, I have a goal to save X amount of money for a certain investment in the new year. This investment goal is more than I saved the year before in total, but I was able to save it in a few months while also going on a Eurotrip because I had a specific goal. If it’s important to you, you just make it happen. Along with goals, you should also create money affirmations so you can manifest money overnight! Affirmations can help you attract wealth and abundance and help you reach your money goals. Come up with affirmations like “Money flows easily to me, I magnetize money!”; “I am worthy of making more money”; “Wealth constantly flows into my life”; and “I am at peace with having a lot of money”. Say these affirmations every morning when you wake up and every night before you go to sleep! I’ve heard this tip from multiple money gurus! If you think and act like you’re broke, you’re more likely to be poor. If you act like you’re already wealthy, it will trick your mind into thinking you have more money and it will attract money to you. Remember, the basic rule of the law of attraction: Like attracts like! This doesn’t mean you should overspend and buy expensive things you can’t actually afford. This will cause financial disaster! However, it does mean you can treat yourself from time to time, plan for amazing trips, make wish lists for your dream decor items and window shop for expensive clothes. Visualization can be such a strong tool. I’ve always been big into visualization – I love visualizing my dream home, what it will feel like to reach my big business goals, how it will feel to wake up in a gorgeous villa in Bali, etc. I think it has a lot to do with growing up as a dancer. I would always be visualizing my dance routines before I went to sleep, when I woke up, in math class (LOL), you get the idea. Visualizing is pretty much practicing for what you want to happen. If I could visualize myself doing a perfect routine, I knew I could do it on stage. This is similar. Can you see yourself, and I mean REALLY see yourself waking up in your dream home every day? Getting X amount of money at the end of the month? Buying your dream car? Starting your own business and living your dream life? Going on amazing vacations and staying in beautiful hotels? If you can truly see it, it can happen. Sometimes we focus so much on what we want that we forget to be grateful for what we already have. Do you have a roof over your head? Food in your fridge? A bed to sleep in at night? Clothes on your back? Have you gone on some amazing vacations? Are you living in an apartment you love? It’s so important to be grateful for the things that money has given you access to up until now. 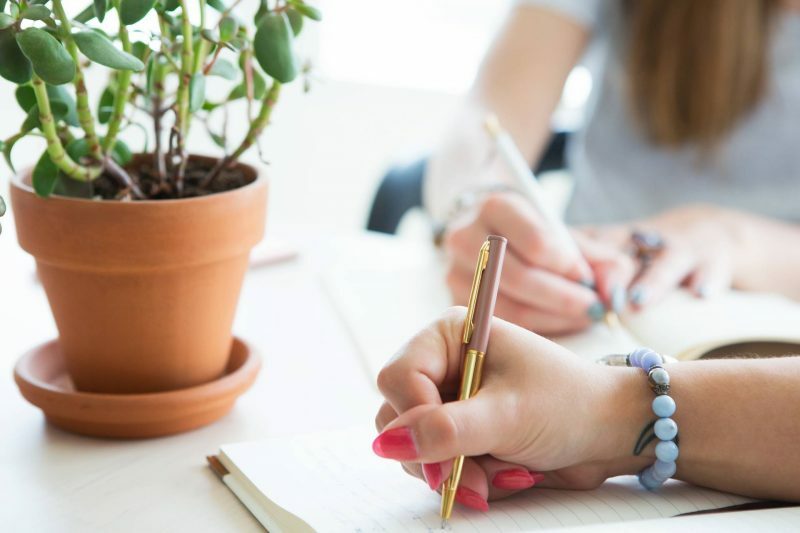 You may want to write these things down in a gratitude journal to reinforce a positive relationship with money. If you can create a connection between making money and money as a positive force in the world, it will come to you so much easier! If you’ve been wondering how to manifest more money, use these steps to attract money into your life and start living your dream reality! If you loved this post on how to manifest money fast, please share the image below on Pinterest! PS. 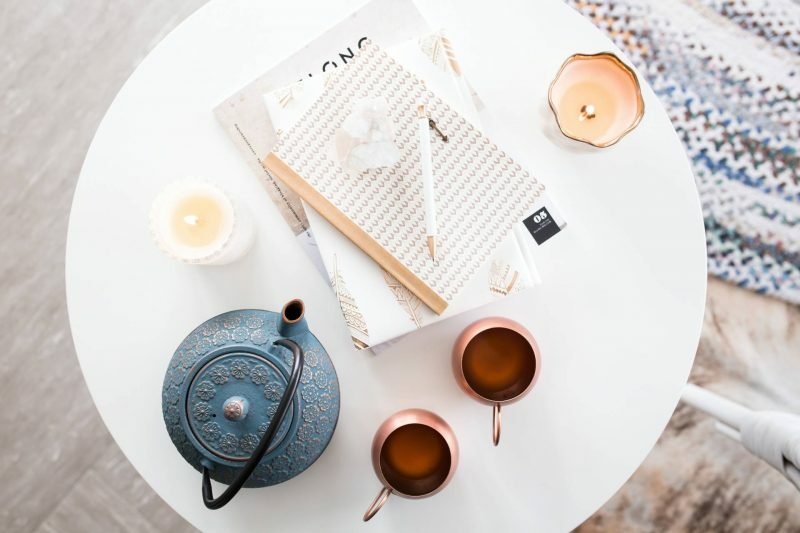 Have you always wanted to start a blog but felt overwhelmed with where to begin? Check out my step-by-step guide on how to start a successful blog from the ground up – it’s perfect for beginners! It’s really important to have in mind where you need to spend your money. Yes, it is! So key! I love this post Kate! 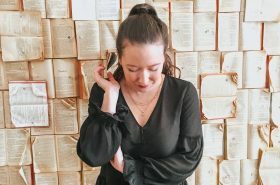 There is so much information going around about law of attraction that drives me a little crazy, but I love how you included the actions to take along with the intentions to set! This is how the law of manifestation actually works, allll of these pieces together! The financial coach in me loves how you share to get specific what you want the money for too! I love everything you talked about here. Manifestation is a real thing but it requires hard work and belief as well. I, myself have experienced tremendous results from working with my mindset alone. Thank you so much! And yes, it definitely requires hard work and belief, it’s so true! You can’t just sit around asking for things and they show up, but when your hard work comes together at the right time and the Universe does its things, it’s magical! This is a great post! Lots of good info and inspires me to keep at it! Thanks so much Erin! Glad it could be a source of inspiration! Keep going girl! Helping the everyday girl live her most elevated lifestyle. 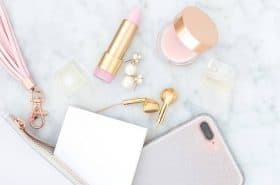 From self care guides, to travel tips, to money and career posts, on Layered Indulgence you’ll get simple tips you can use to start creating your ideal life.